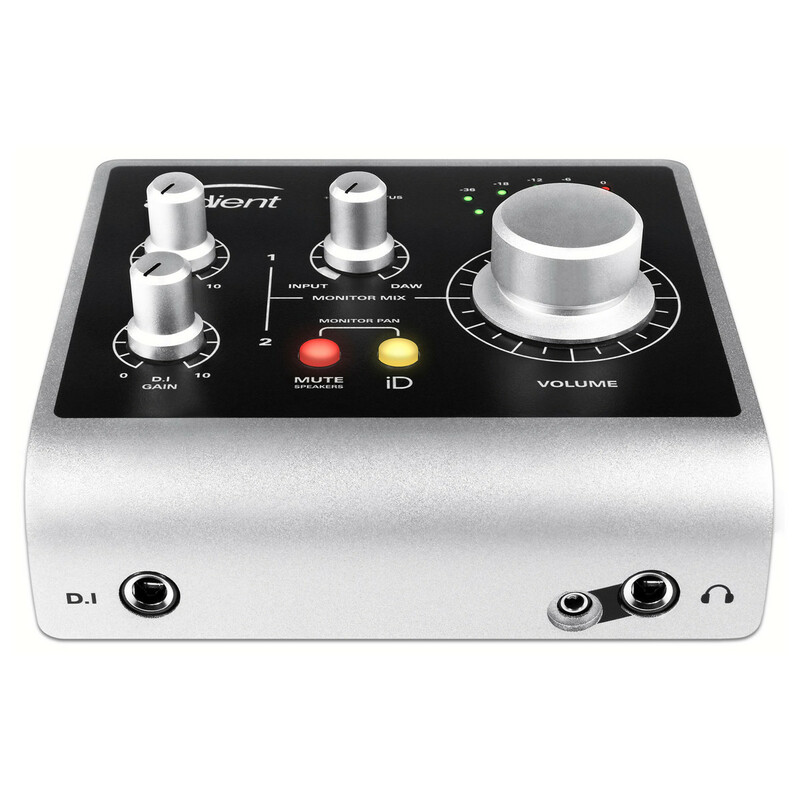 The Audient ID4 Audio Interface is a 24-bit/96kHz audio interface featuring a Class-A Audient Console Mic Preamplifier and a Discrete JFET instrument input. The Audient ID4 is a portable and powerful interface featuring its class-leading converter technology and two headphone inputs, making it perfect for a range of recording applications. 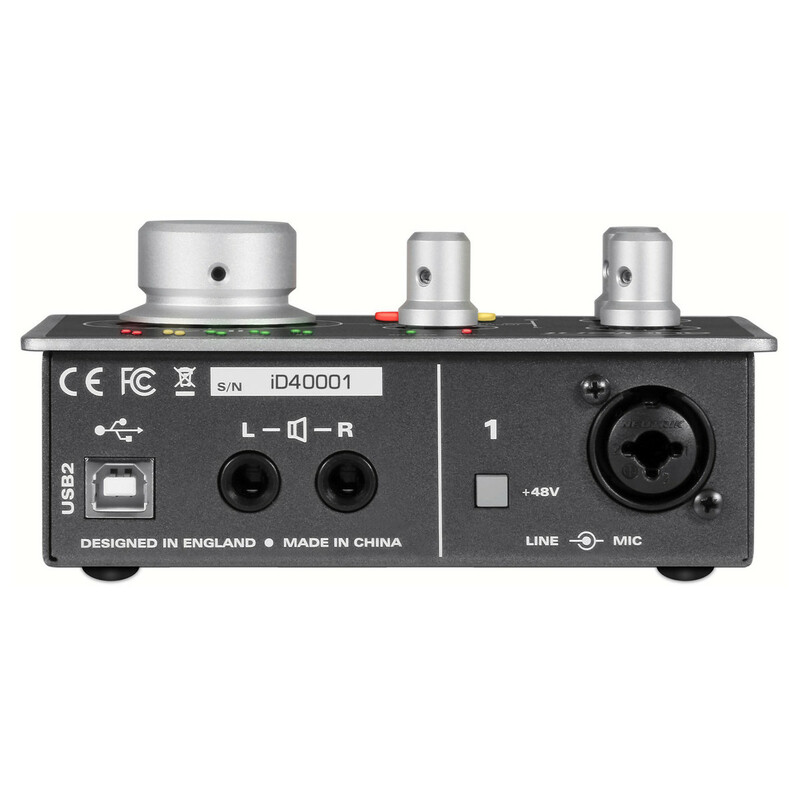 The combi mic/line input features a switchable +48v Phantom Power switch, allowing you to utilise condenser microphones. With its sleek and portable design, the Audient ID4 is the ideal companion for any music producer. It also comes complete with a comprehensive range of music software and useful tools to get you started. All Audient interfaces now comes with ARC 2.0. 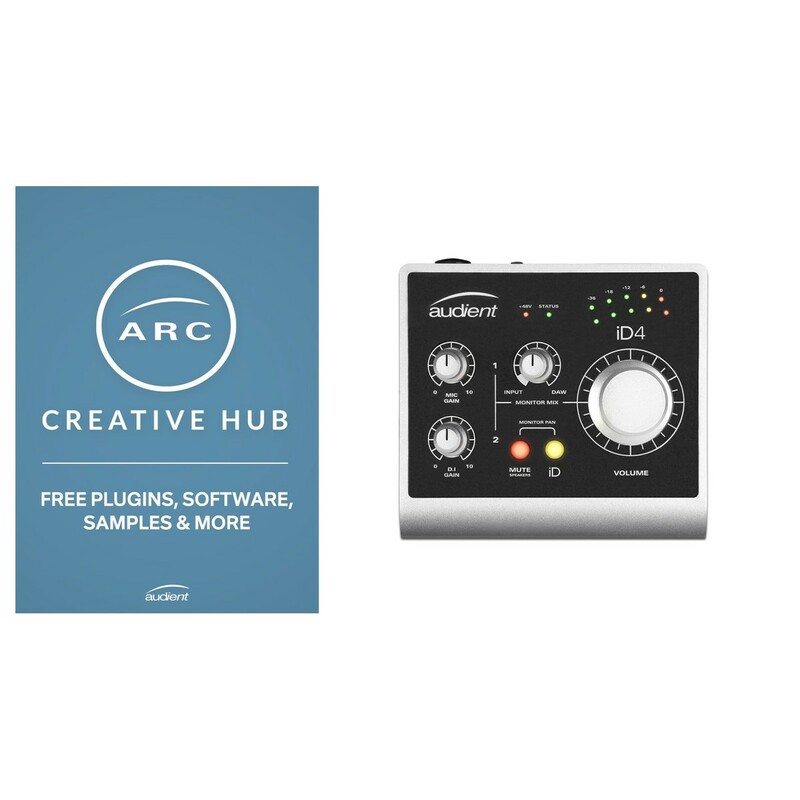 ARC is Audient’s own creative hub which provides you with a comprehensive range of music software and offers. ARC 2.0 includes a new range of offers including: eight free guitar and bass cab presets from Wall Of Sound, over 1GB of samples and 500 free Loopcloud credits from Loopmasters, 10 free masters and 10 distribution creditsfor LANDR, online production courses from Producertech, Cubase LE, Cubasis LE 2 and Waldrof Edition 2 LE. Simply register your product here to take advantage of all these fantastic offers. You can find help on how to redeem offers here. The Audient ID4 Audio Interface is the ideal companion for any music producer or sound engineer, its portable size and premium-quality components make it perfect for a range of recording applications. 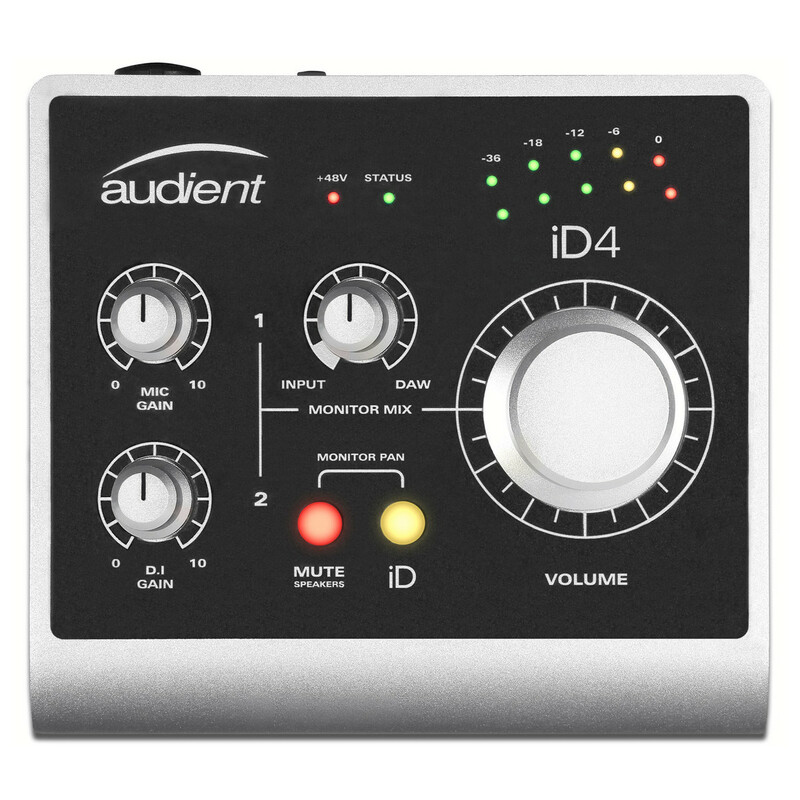 The Audient ID4 features a range of components that make it one of the best interfaces in its price range. The integrated Class-A mic preamp design is a premium-quality microphone preamplifier designed to provide clean and punchy harmonics whilst retaining the natural nuances of the original sound. It also has an impressive gain range spanning bentween 0 and 70dB. This versatile mic preamp results in unparalleled audio quality, perfect for recording professional-grade vocals and more. The combination input also supplies you with an instrument input, perfect for connecting instruments directly to the interface for high quality instrument takes. The 'Monitor Pan' features of the I4 allows you to pan both the mic pre input and DI input from left to right allowing you easily create a balanced headphone mix that suits you. The Audient ID4 also features high performance AD-DA converters, perfect for a range of applications. These converters also help to improve the sound quality when it comes to the instrument inputs. These AD-DA converters have been designed thanks to years of experience in the analog console world by Audient. 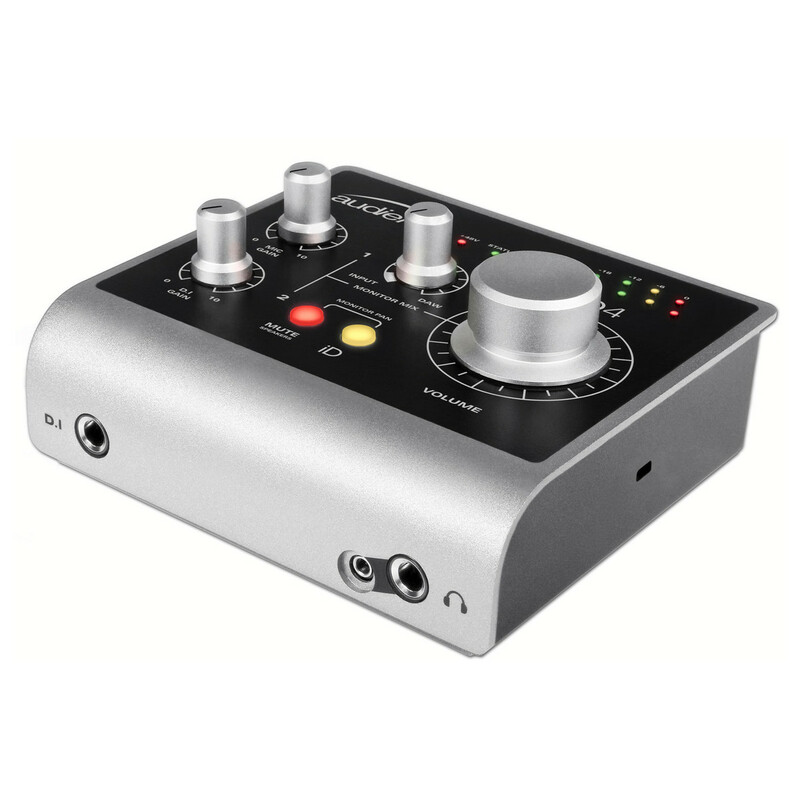 This converter technology allows you to hear the audio as it was originally supposed to sound, minimising any colouration or change in signal. One of the most unique features of the ID4 is the ability to turn the ID4's volume encoder wheel into a virtual scroll wheel. This ability allows you to change a range of parameters on your computer using the wheel itself. The ScrollControl wheel can be used to control a range of parameters including DAW hosts, plug-in parameters and it will even allow you to navigate through your iTunes library for added versatility. Wherever your mouse pointer scrolls over it can control with the wheel. When not in use, the ID4's volume encoder can be pressed to activate the 'DIM' control, allows you to quickly reduce the playback volume. The portable design of the Audient ID4 makes it perfect for the travelling producer, allowing you setup and record whatever you like, wherever you are. Its plug and play capability makes it ideal for quick and easy recording applications, allowing you to plug in a range of instruments from bass guitars to keyboards quickly and easily. The interface also features dual headphone outputs so you can easily listen with the artist while you record. It's all metal construction adds to its portability, making it highly durable and perfect for taking on the road with you. The knobs themselves are constructed from high-grade aluminium. 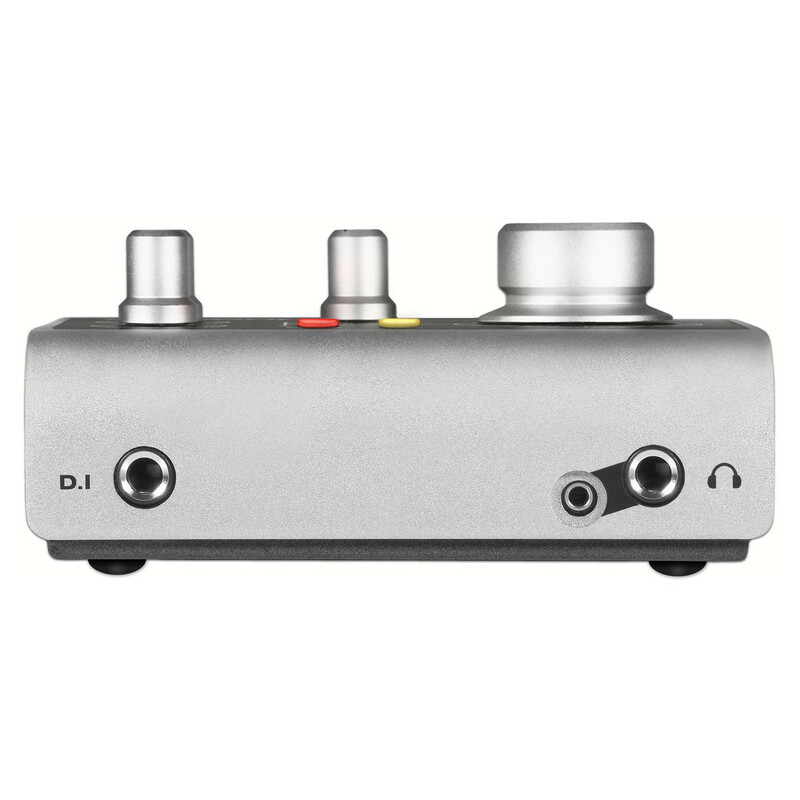 For more information on the Audient ID4 Audio Interface including specifications please refer to the PDFs above.